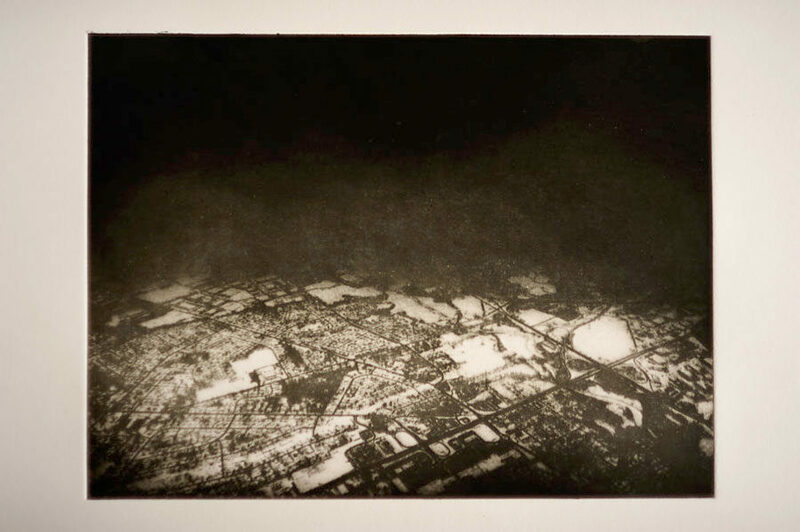 Images derived from a series of aerial photographs shot on various flights across North America and Europe and digitally optimised for the photo-etching process. The title Hohlweltlehre references the ‘Hollow Earth’ hypothesis which proposed the planet Earth as almost entirely hollow. It also supposed the Earth’s surface to be in fact underground, and the curvature of it’s surface therefore to be concave. Conor McMahon is sculptor, photographer and digital designer who works in a variety of traditional and digital media in both 2 and 3 dimensions. He has previously exhibited sculpture, drawing, photography and installation and has performed as member of various musical initiatives in both his native Dublin and London.